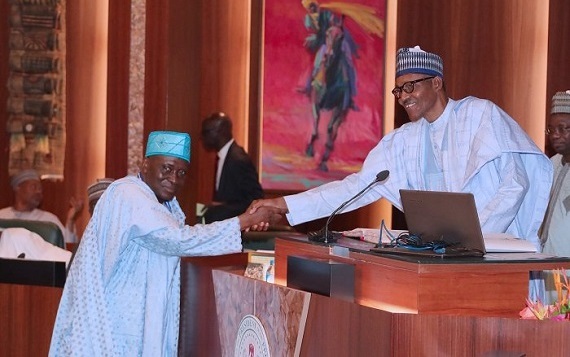 Today, President Muhammadu Buhari sworn-in the former Inspector General of Police (IGP), Musiliu Smith as chairman of the Police Service Commission (PSC). According to Channels Television, Mr Smith will succeed former IGP, Mike Okiro. 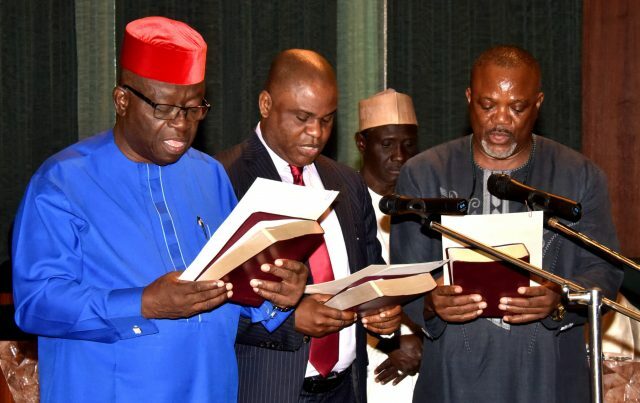 Others sworn-in today are: Dr. Nkemka Jombo-Ofo (member) from South East, representing organized labour, Clara Ogunbiyi (full-time commissioner) from the north-east, representing the judiciary community; retired AIG Lawal Bawa (full-time commissioner) from north-west, representing the Police community; Mohammed Najatu (member) from the north-west, representing women on the commission, Braimoh Austin, (member) from the South-South, representing the media community, Rommy Mom (member) from North Central, representing human rights and Buhari also swore in, Festus Okoye, as a National Electoral Commissioner, in the Independent Electoral Commission (INEC), representing the South East. 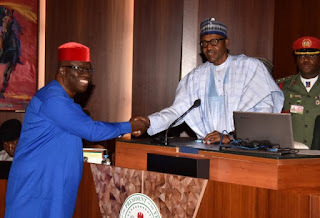 The ceremony took place on Wednesday before the commencement of the meeting of the Federal Executive Council presided over by the President.